You spend every day on your feet and put them through a lot. The foot is made up of 26 delicate bones, linking together with a network of tendons and muscles that connect to your ankle joints. With this many parts to the ankles and feet, there are many places where damage can occur. For this last point, keep in mind that broken toes may be less painful and you may be able to walk on them. How are broken ankles and feet treated? Your doctor will probably order an x-ray to determine exactly what happened and where the break is. For a broken ankle, a splint may be used. If it’s a severe break, you may need reconstructive surgery. 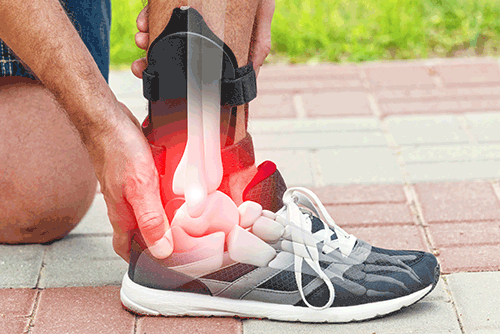 In the case of broken bones in the foot, you may be given a cast, walking boot, or wheelchair to help you keep pressure off the area as it heals. For broken toes, the doctor will most likely splint one to an adjacent toe.